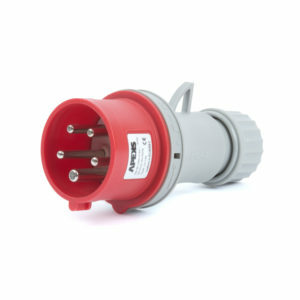 Our Euro converter plugs range consists solely of the ECP model. 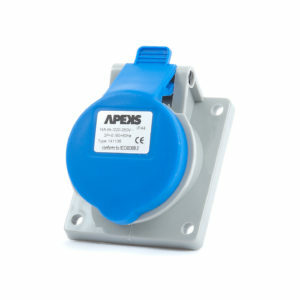 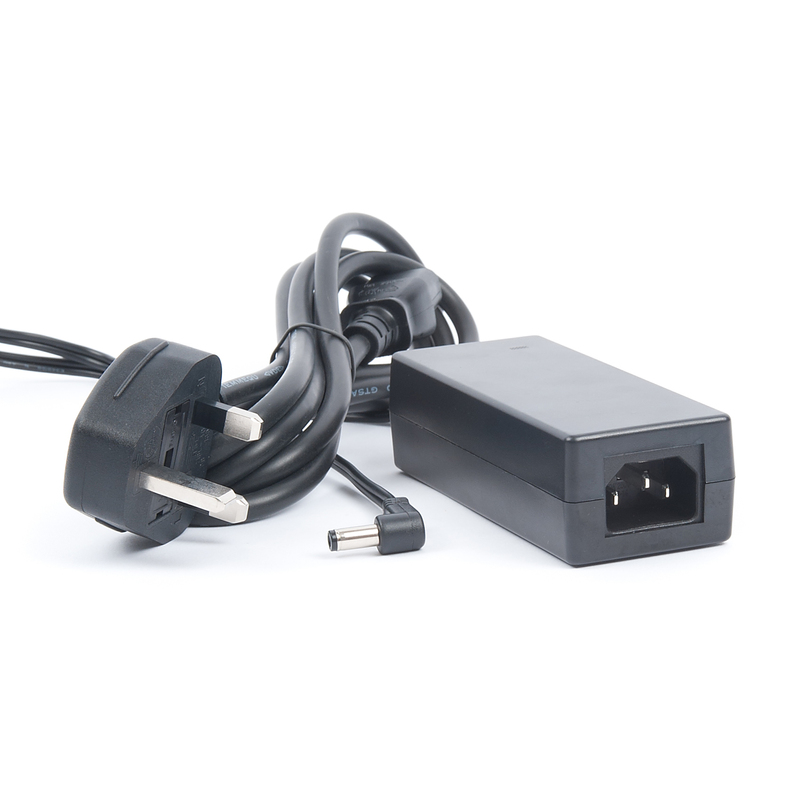 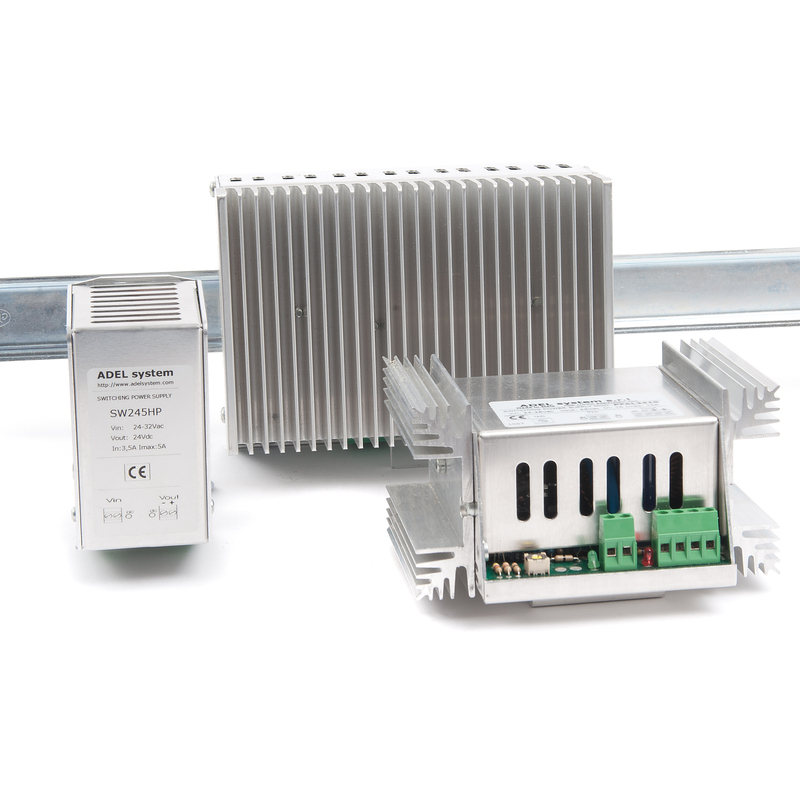 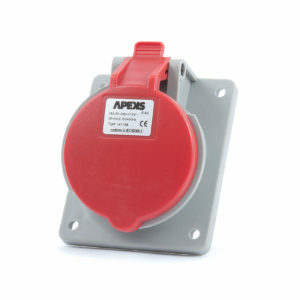 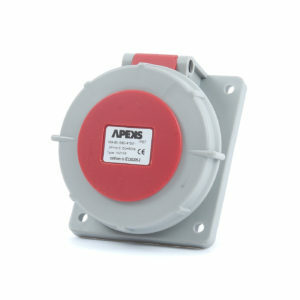 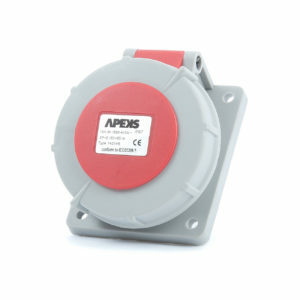 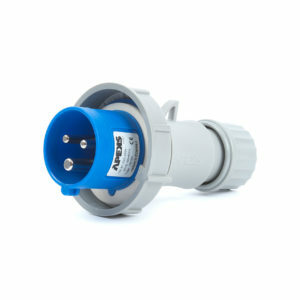 This unit is an adaptor that converts 2.5A (CEE7) Europlugs to the BSI 363 system. 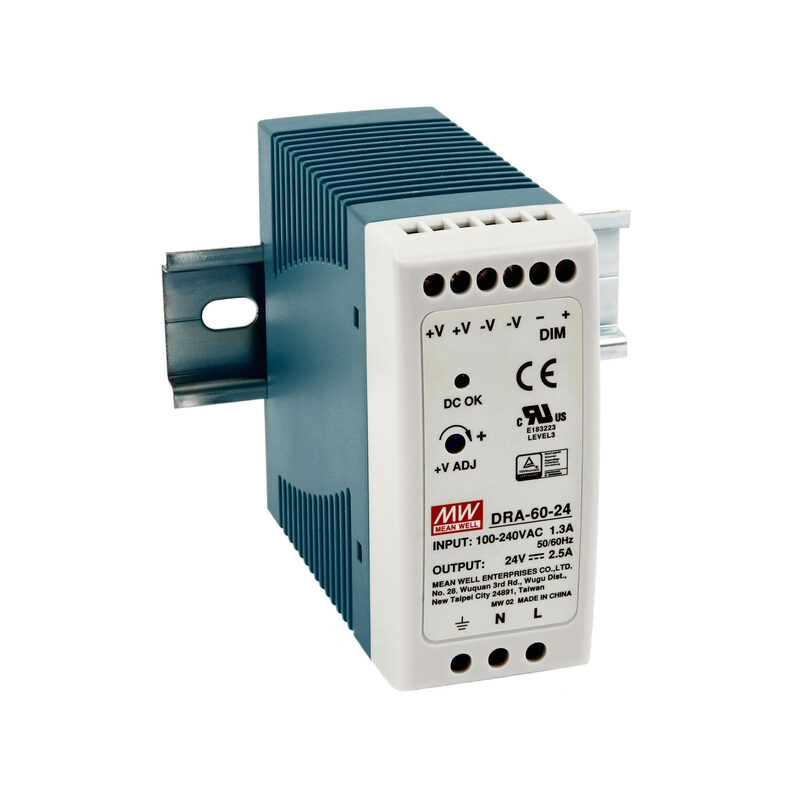 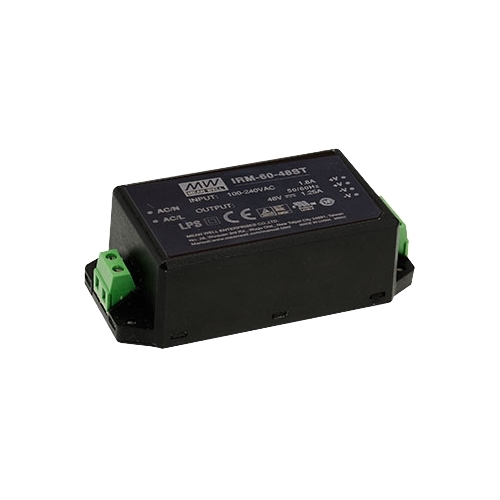 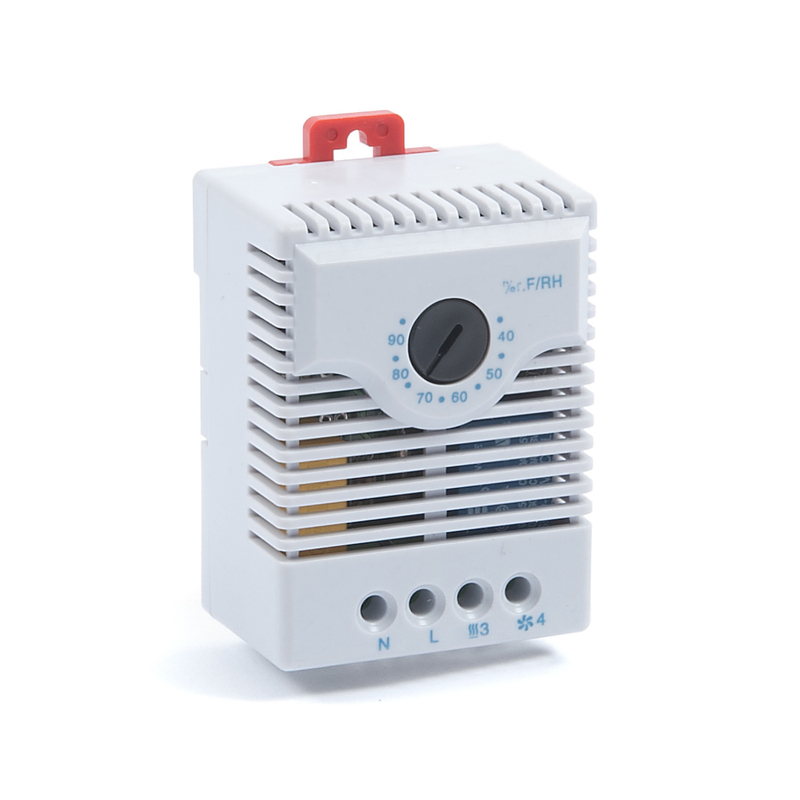 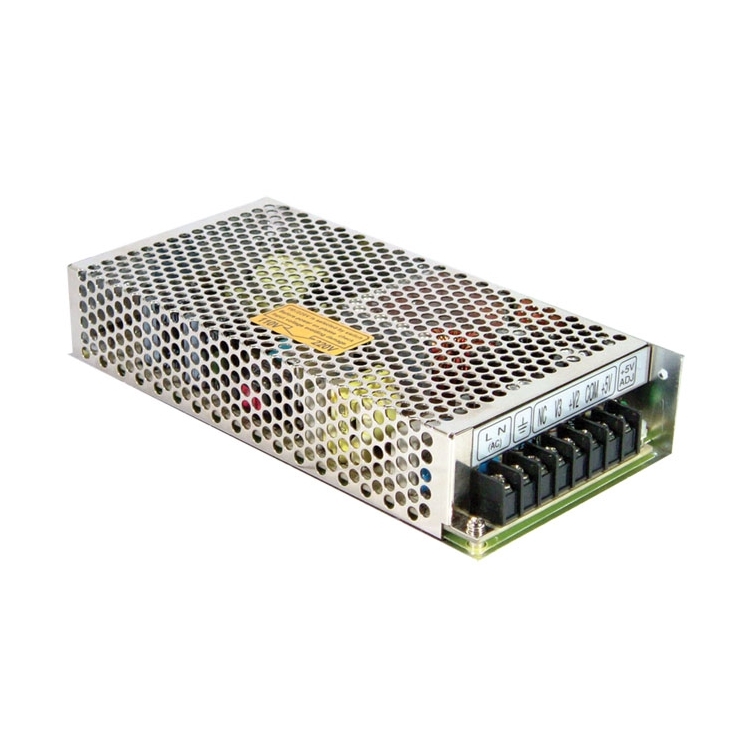 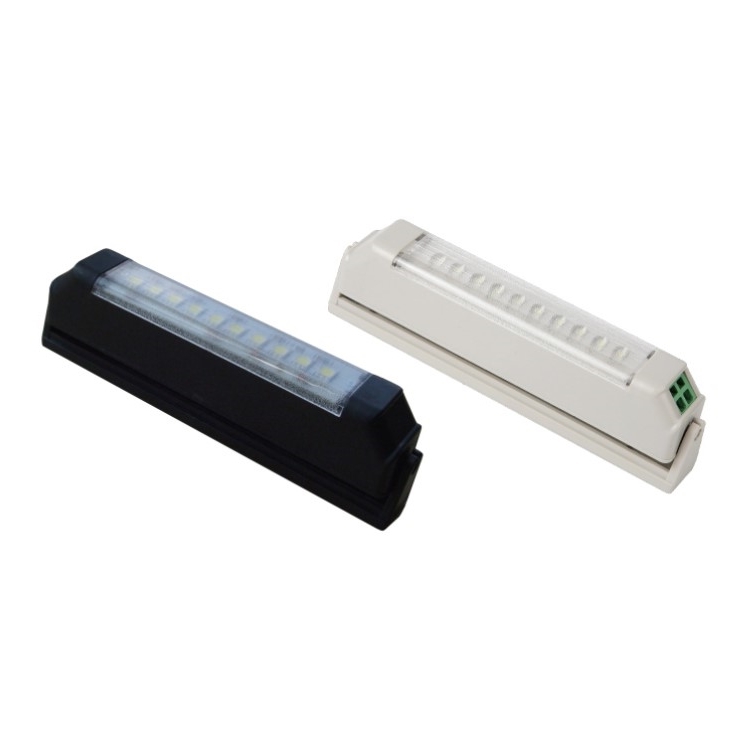 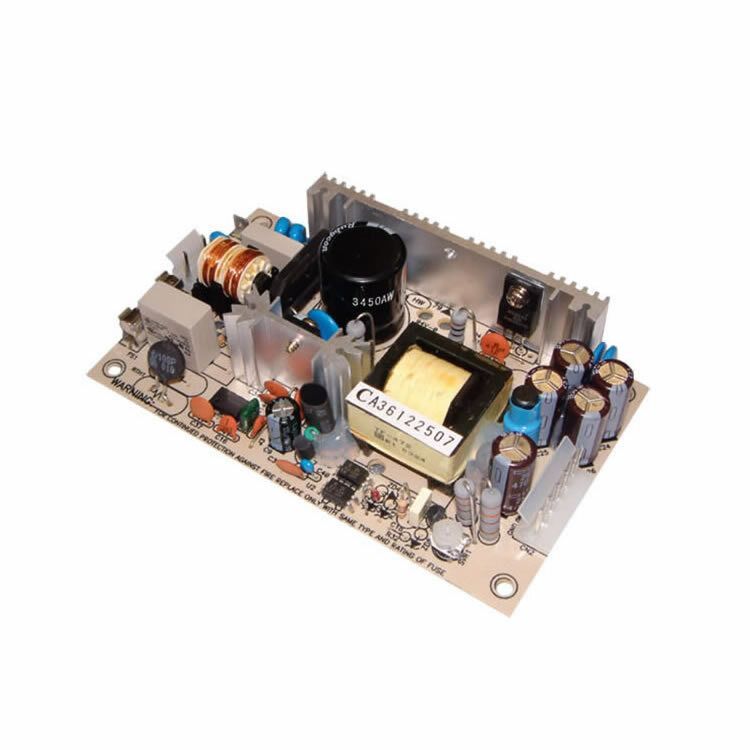 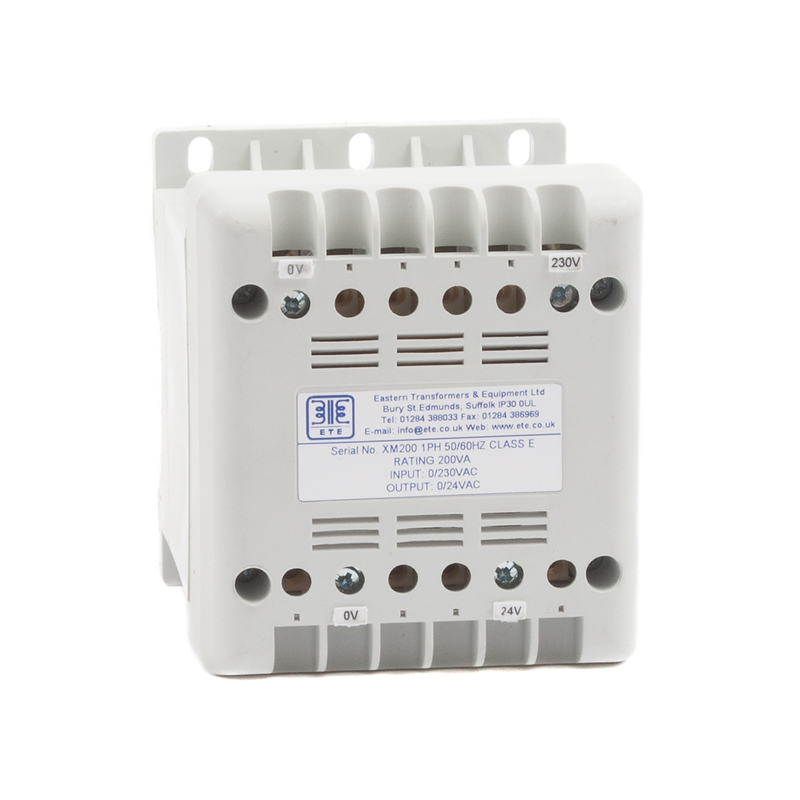 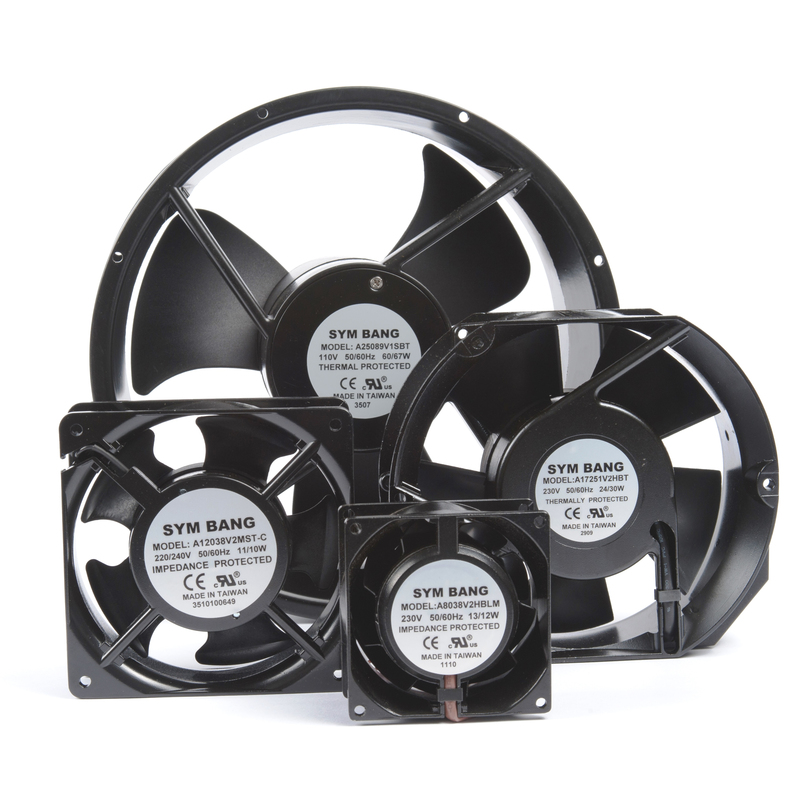 It is rated at 600 Watts and is suitable for a 220~250V AC input voltage. 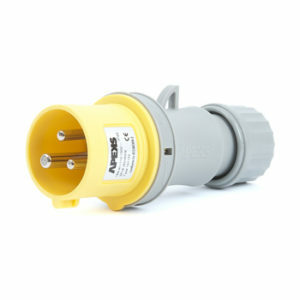 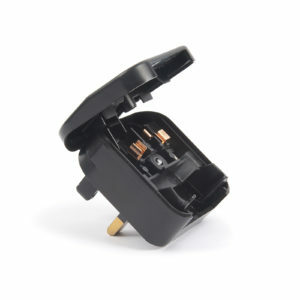 The plug comes with a hinged lid (secured by a screw) for external fuse access. 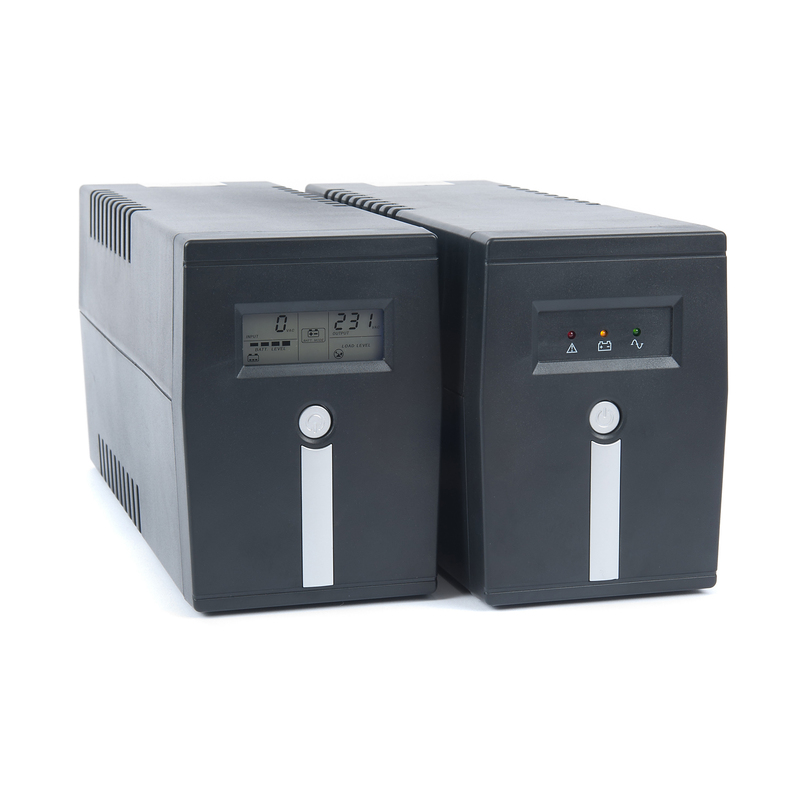 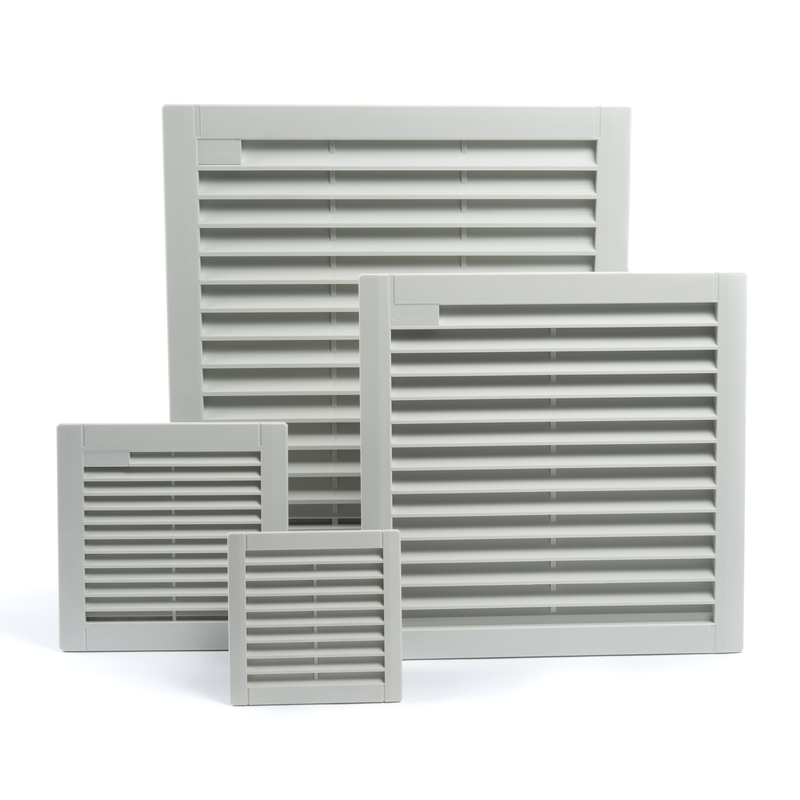 The model is made from polypropylene (PP) thermoplastic and is black in colour. 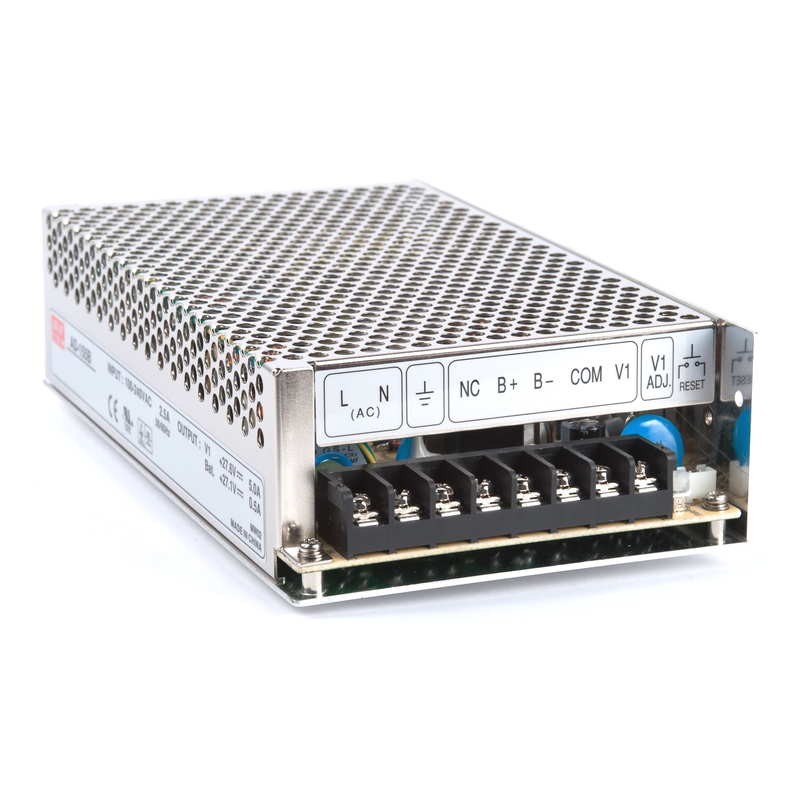 Click on the product image, then pick your current rating from the dropdown menu inside. 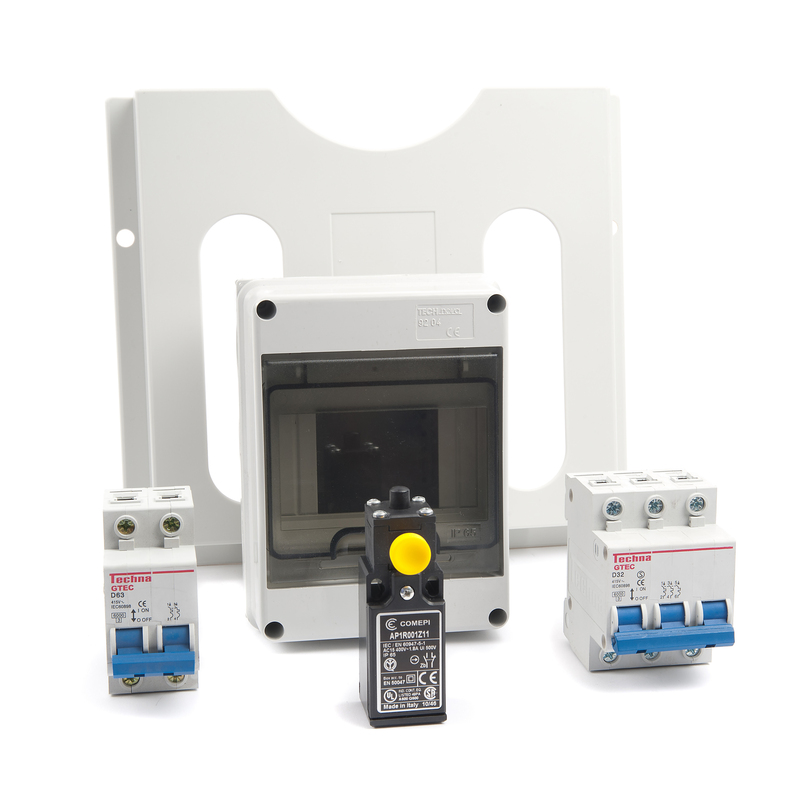 The units within our DIN rail mountable sockets range are ideal for a wide array of applications, including: power tools, instruments, and output supplies from control panels. 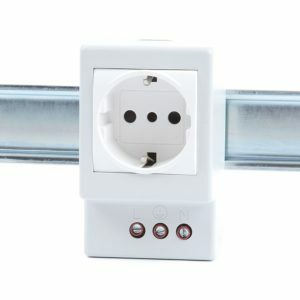 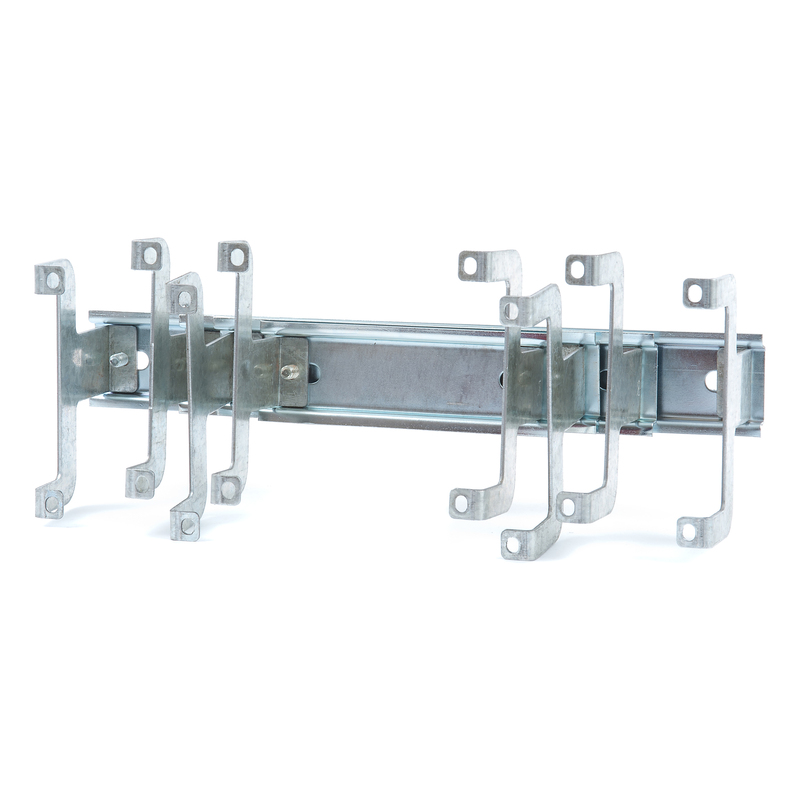 The sockets are designed to various national standards, such as: UK, France, Germany, Italy, and Spain. 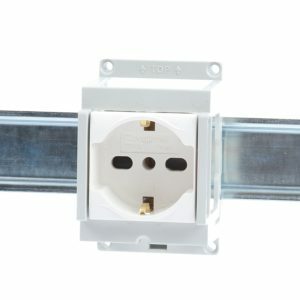 In addition, Schuko and Euro-American sockets are available. 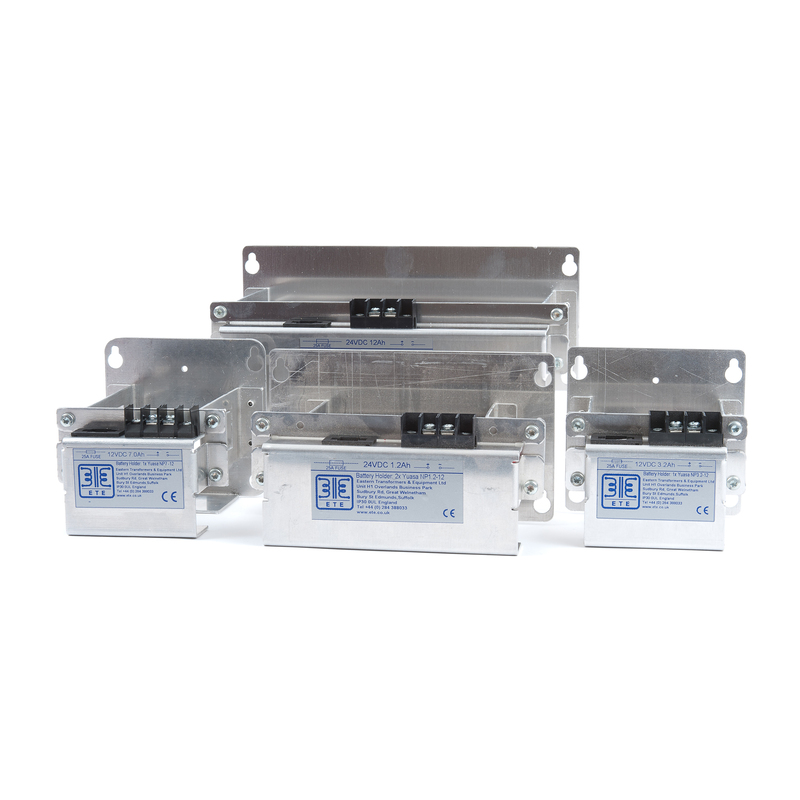 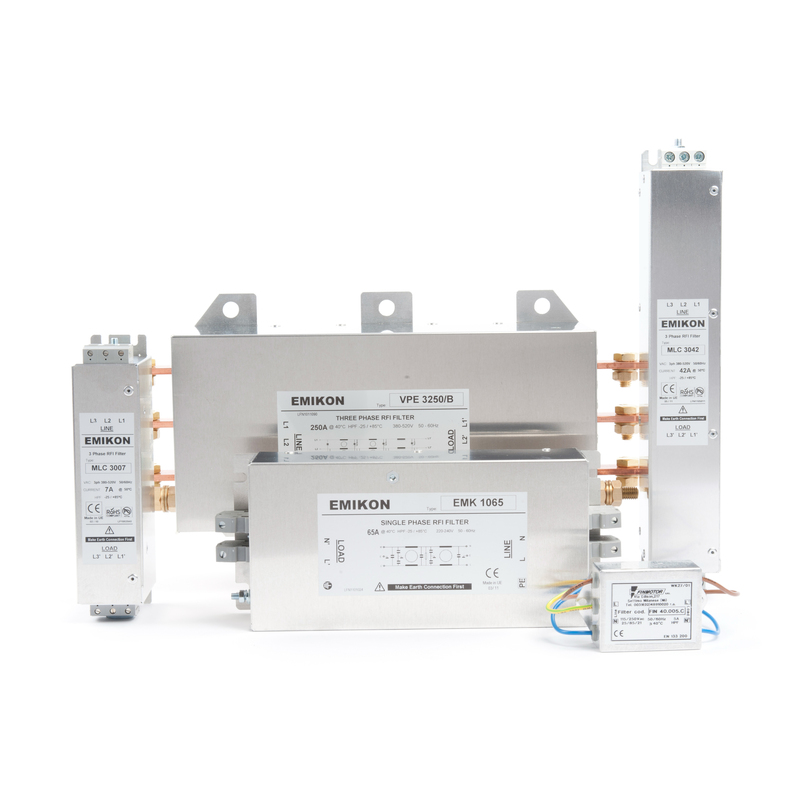 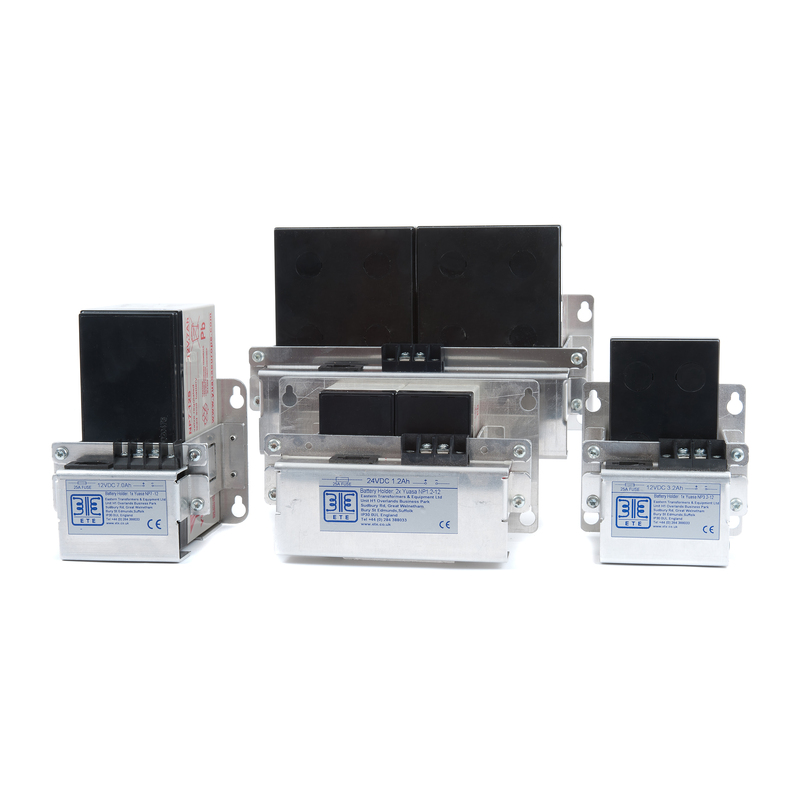 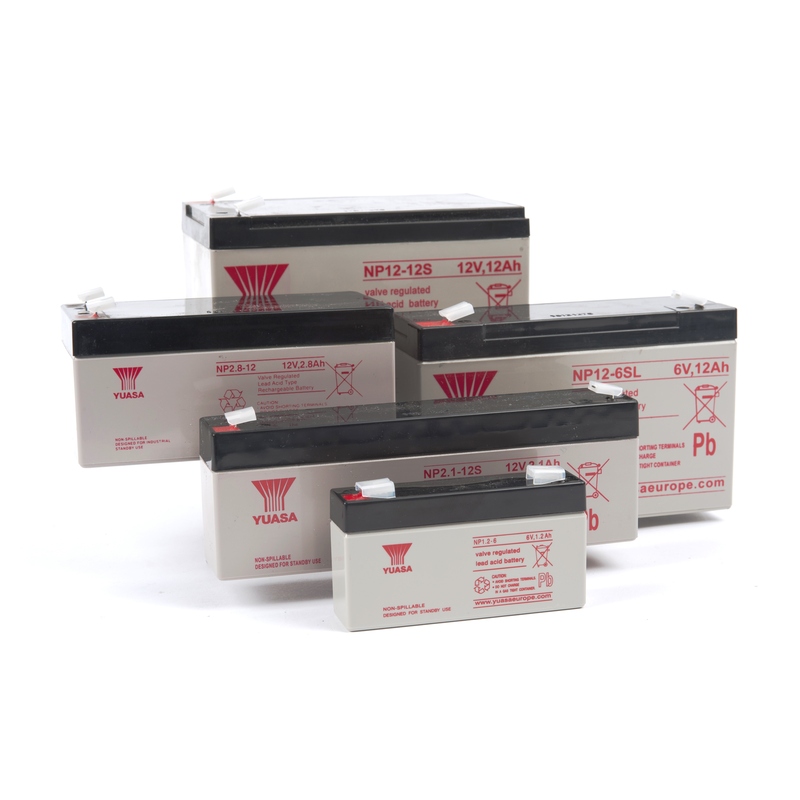 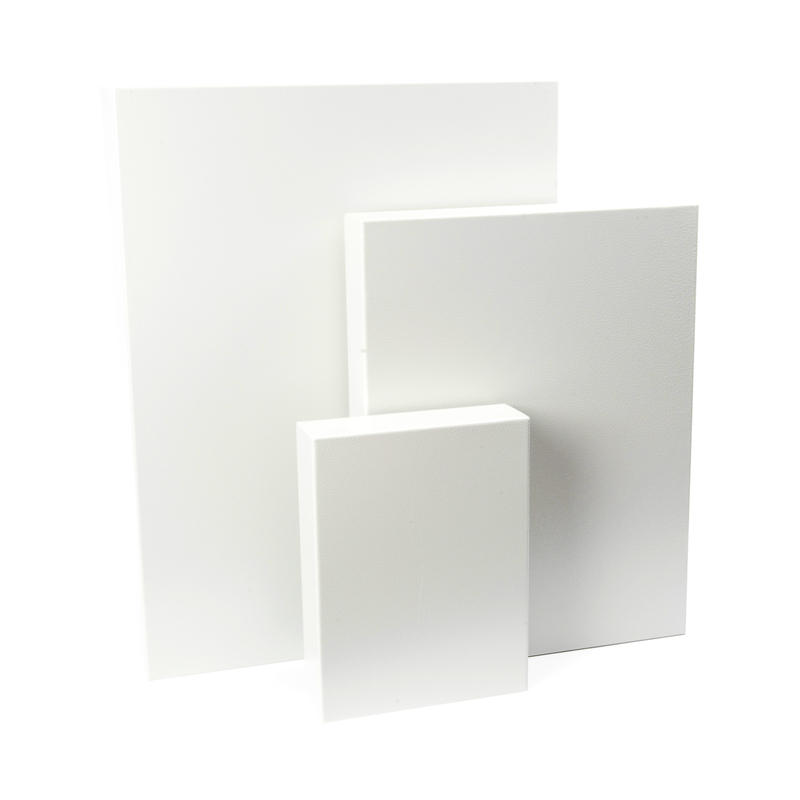 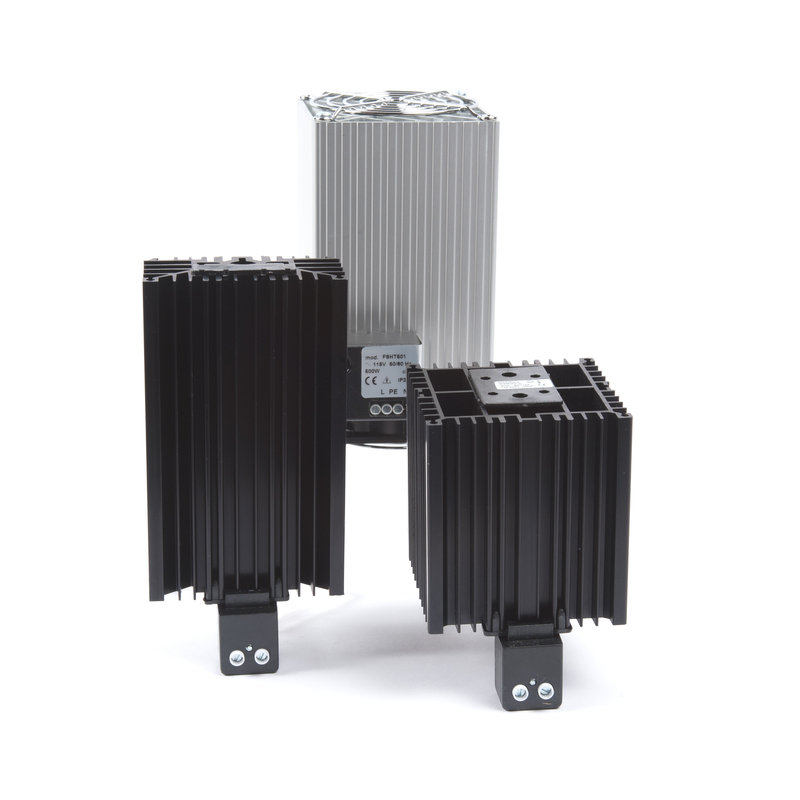 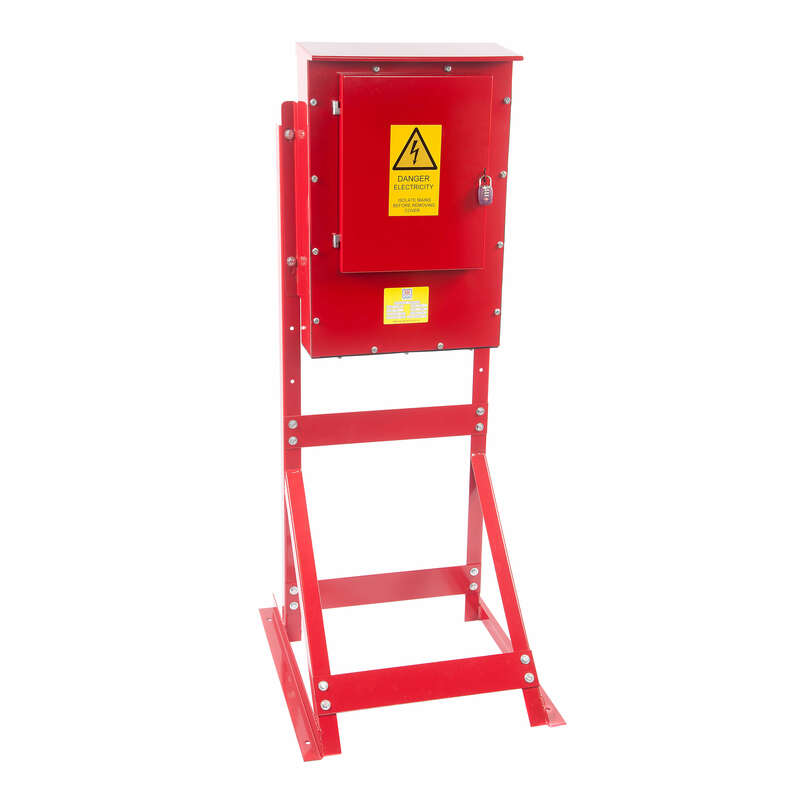 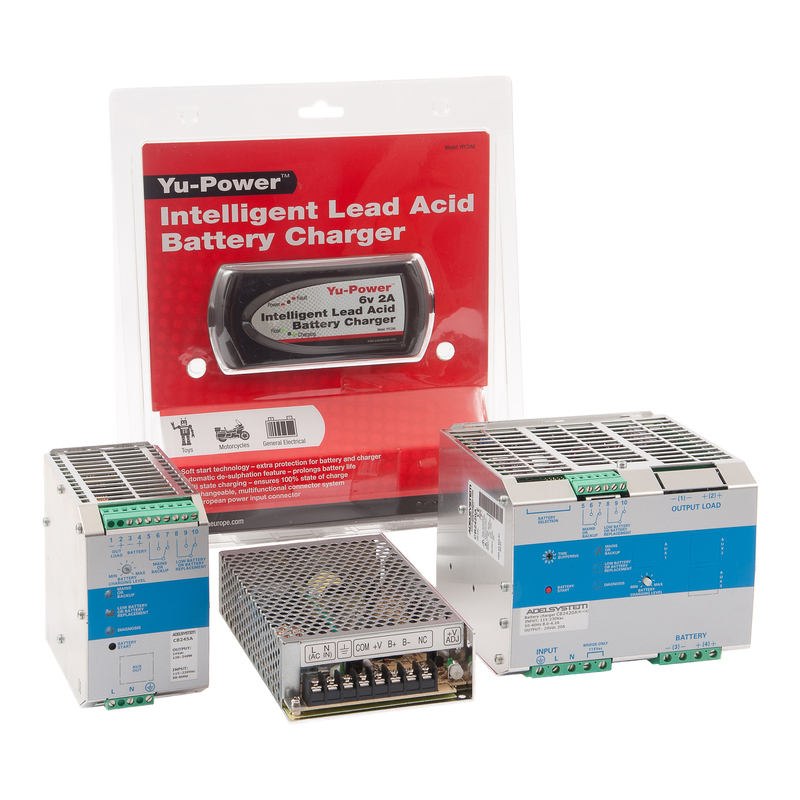 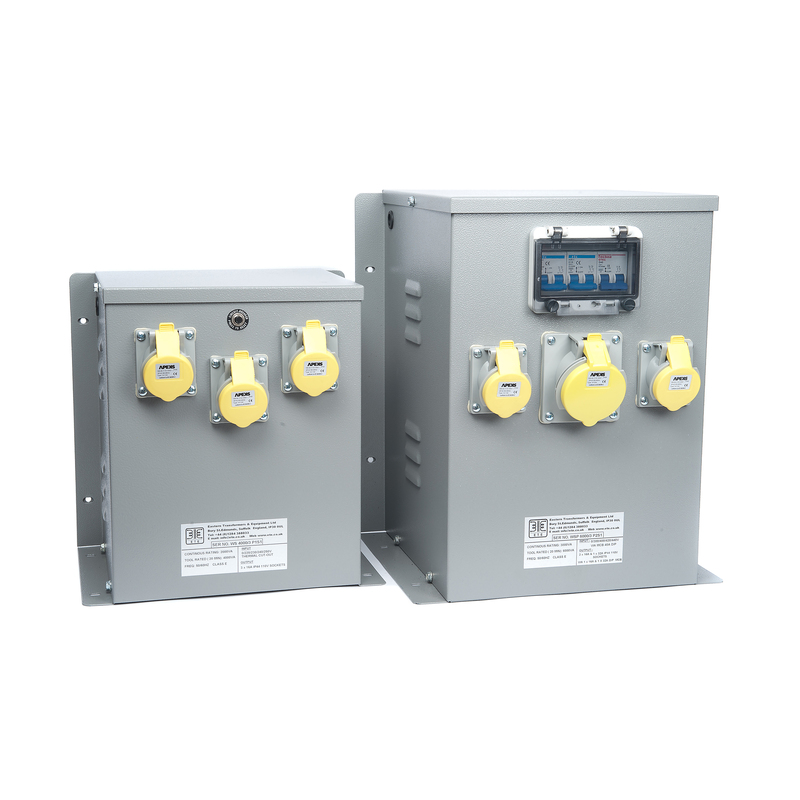 The units are three pole and designed for input voltages of either 125V AC or 250V AC. 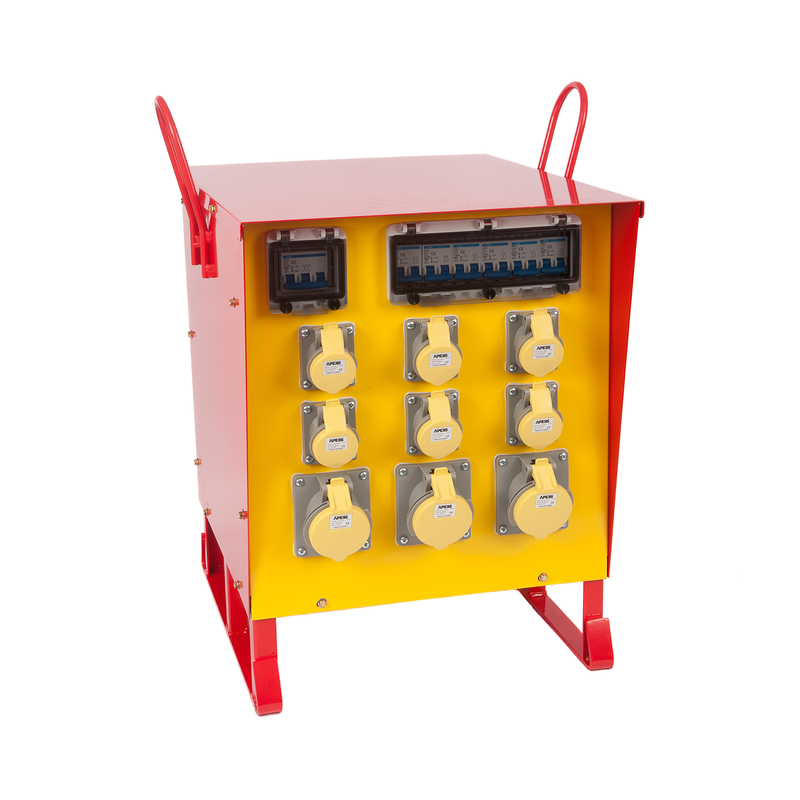 Select the socket with the standard type and input voltage of your choice, then pick your current rating from the dropdown menu inside. 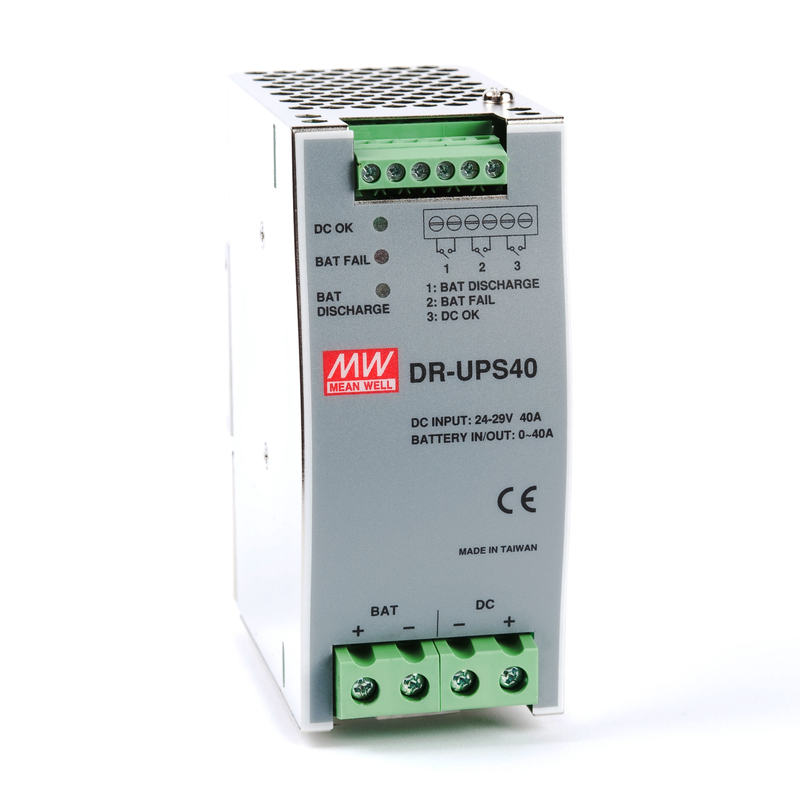 The units within our PP44 series of industrial plugs are ideal for a wide array of industrial applications. 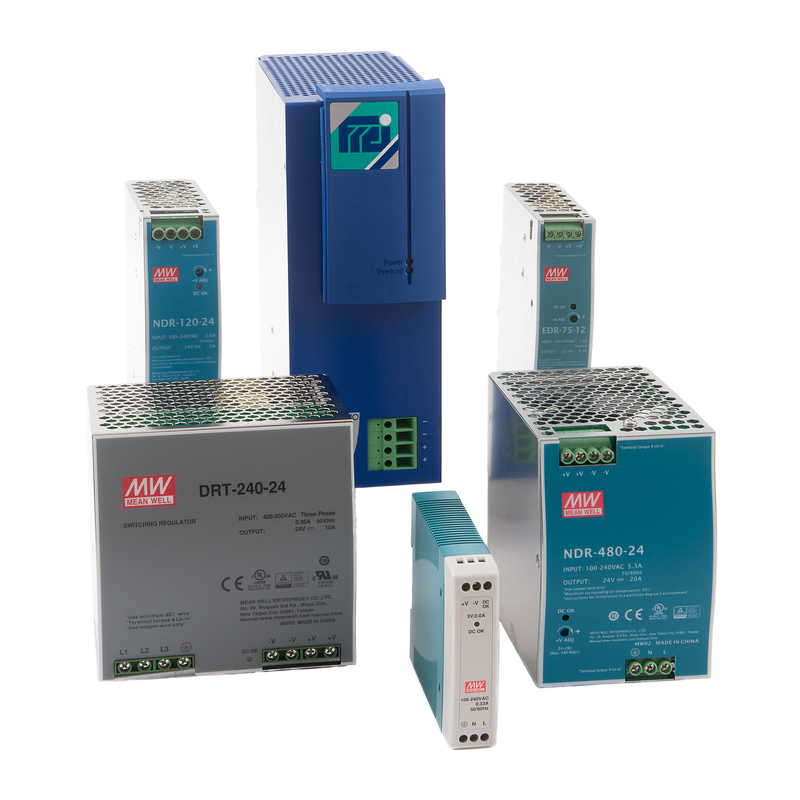 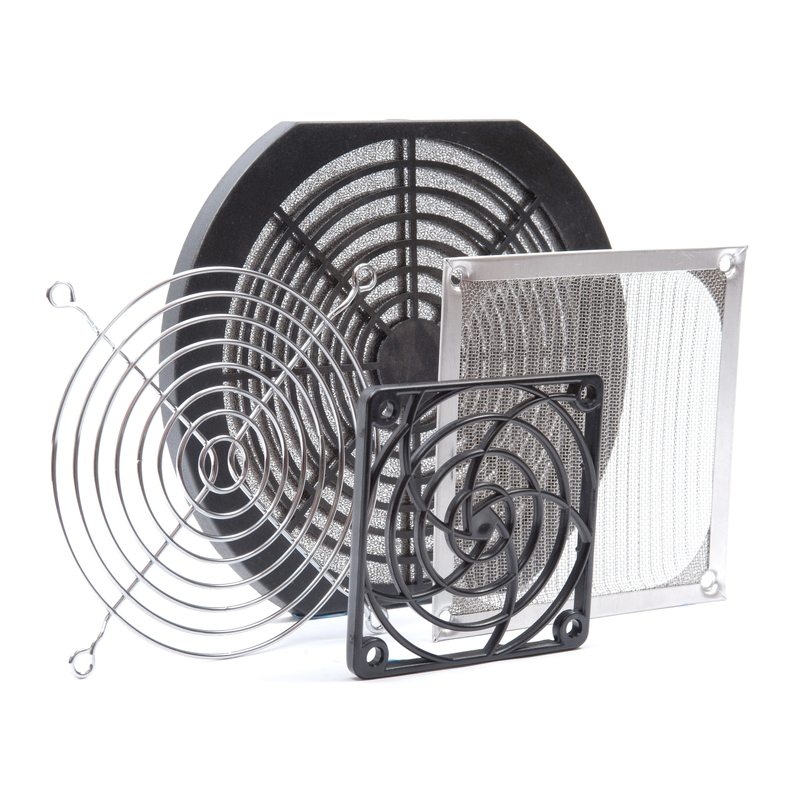 Machine builders and OEMs are examples of customers who would have a requirement for this range. 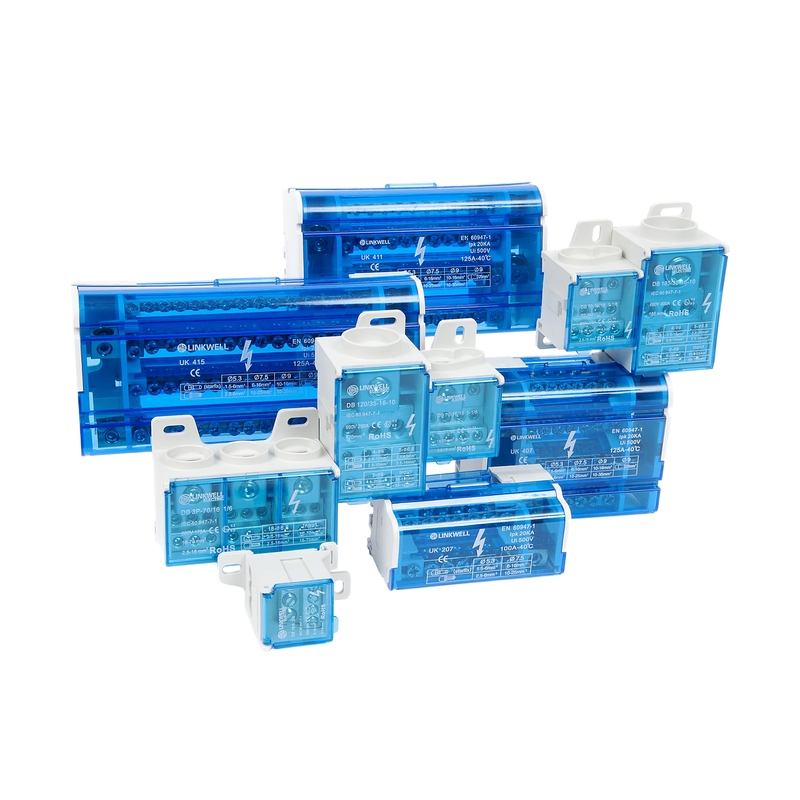 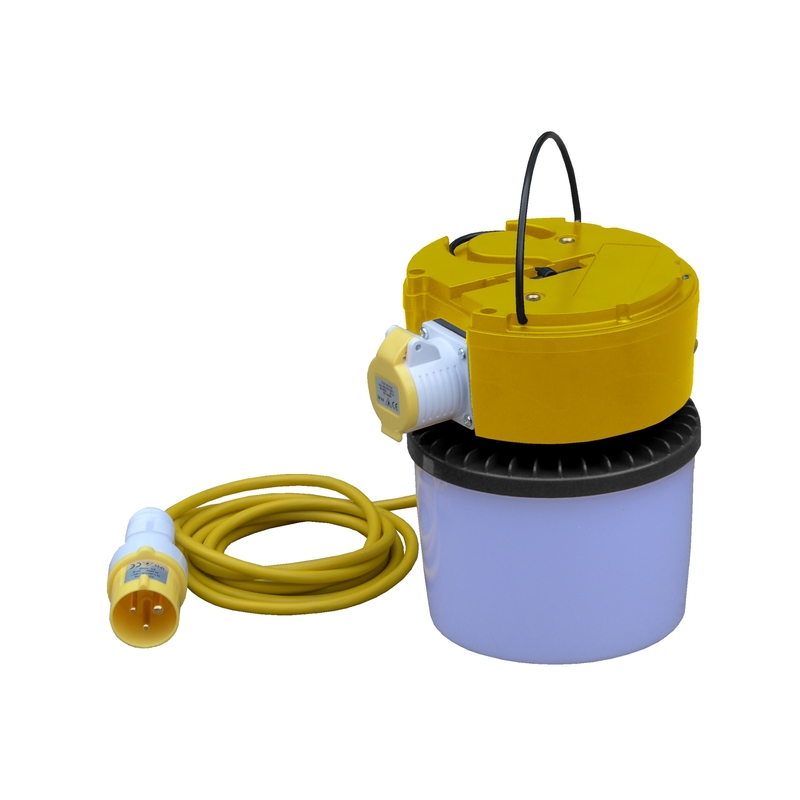 The plugs are designed to BS EN 60309-1 (BS 4343) and are available in 110V AC (yellow), 230~240V AC (blue), and 400~420V AC (red) types from 16A to 32A. 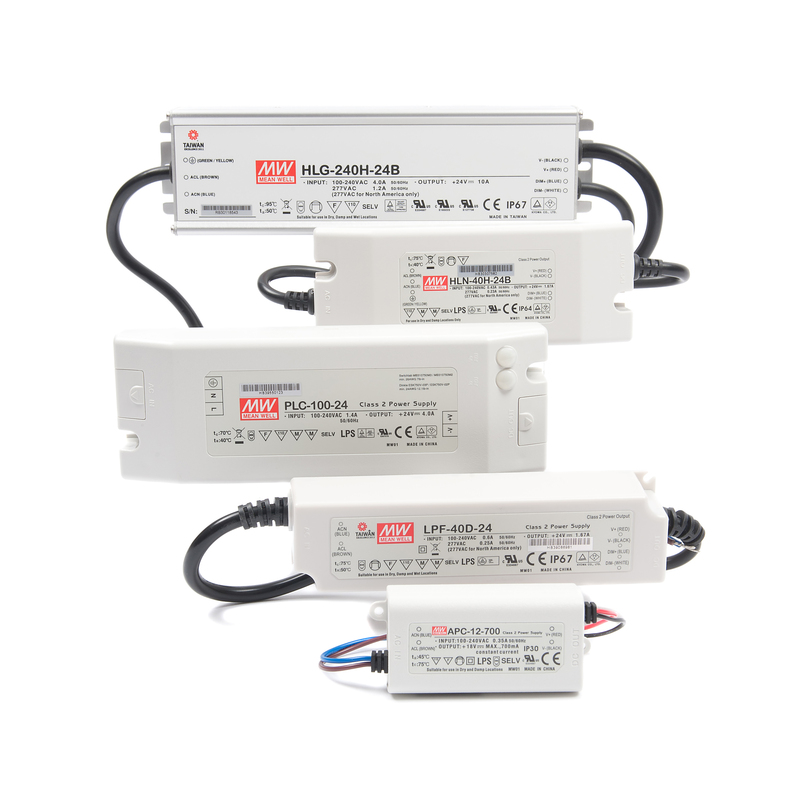 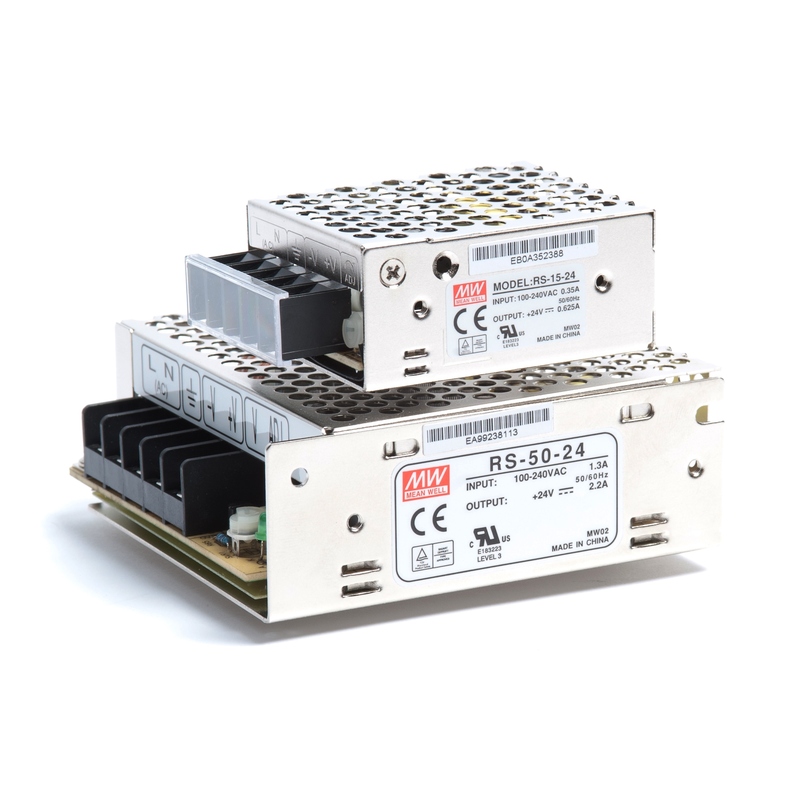 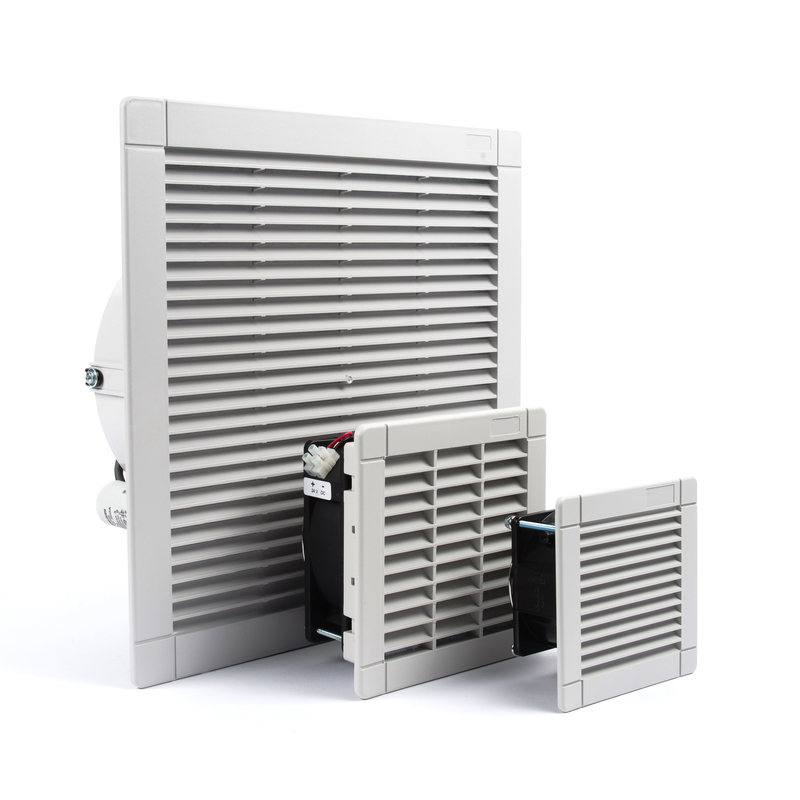 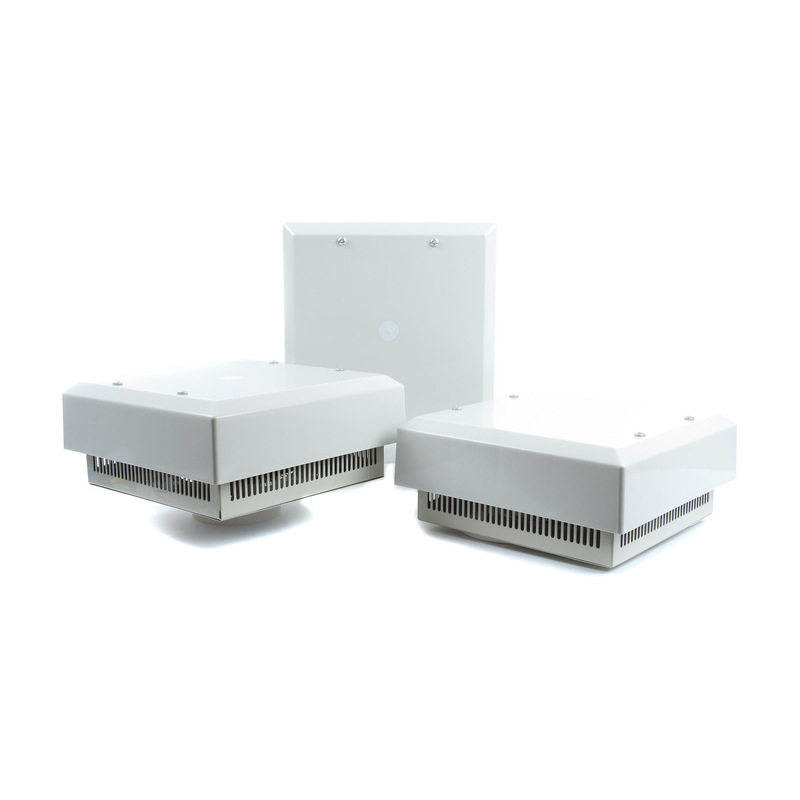 The models within this range are protected to IP44 and are available in 2 pin + earth (2P+E), 3 pin + earth (3P+E), and 3 pin + neutral + earth (3P+N+E) types. 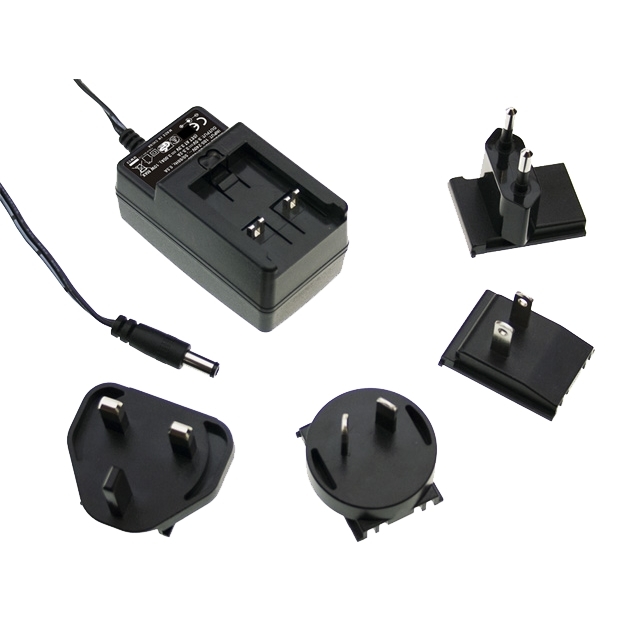 Select the plug with the input voltage and combination (pin, earth, and/or neutral) of your choice, then pick your current rating from the dropdown menu inside. 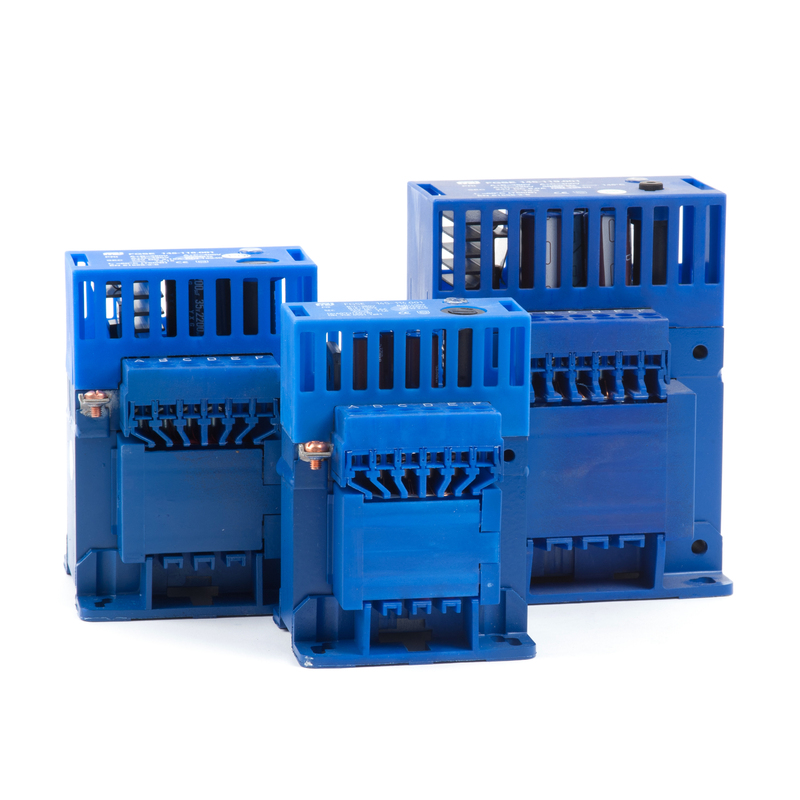 The units within our PS44 series of industrial sockets are ideal for a wide array of industrial applications. 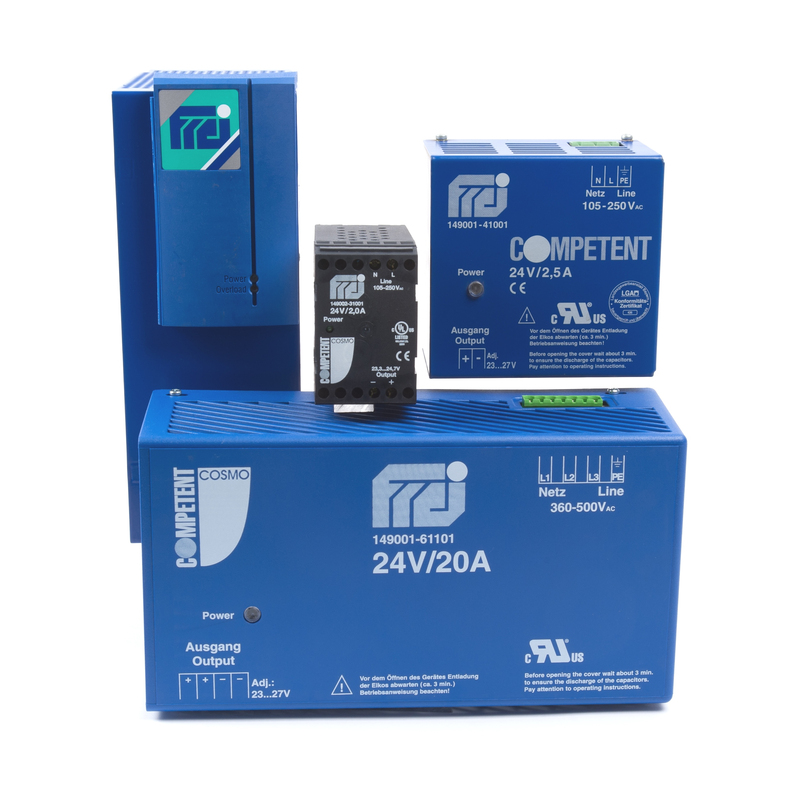 Machine builders and OEMs are examples of customers who would have a requirement for this range. 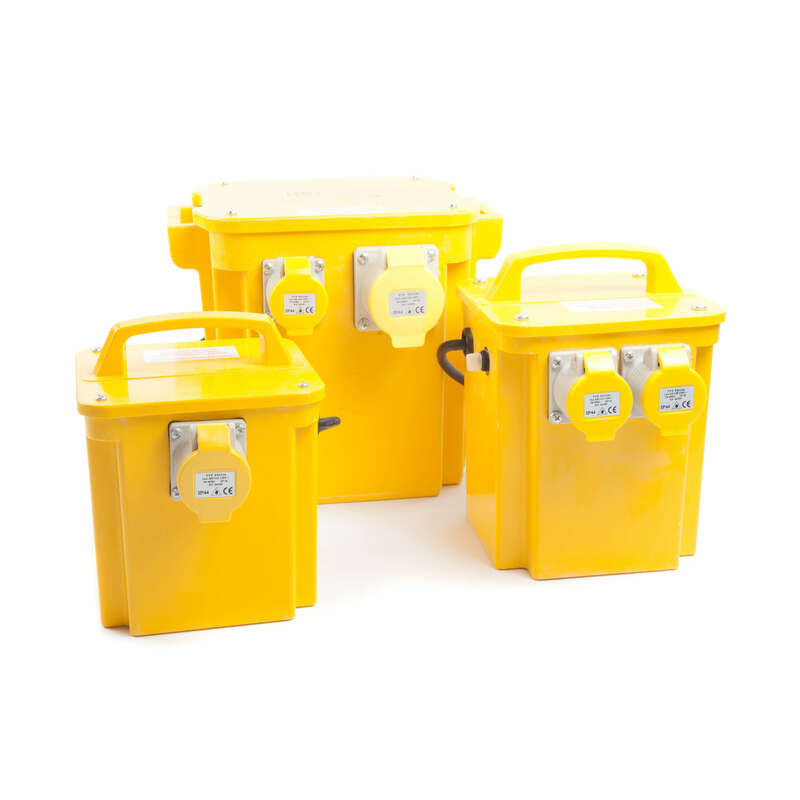 The sockets are designed to BS EN 60309-1 (BS 4343) and are available in 110V AC (yellow), 230~240V AC (blue), and 400~420V AC (red) types from 16A to 32A. 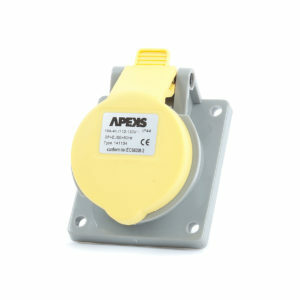 The models within this range are protected to IP44 and are available in 2 pin + earth (2P+E), 3 pin + earth (3P+E), and 3 pin + neutral + earth (3P+N+E) types. 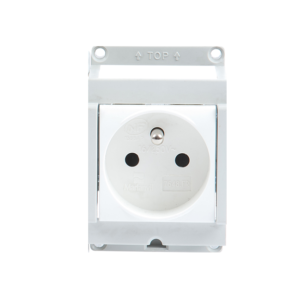 Select the socket with the input voltage and combination (pin, earth, and/or neutral) of your choice, then pick your current rating from the dropdown menu inside. 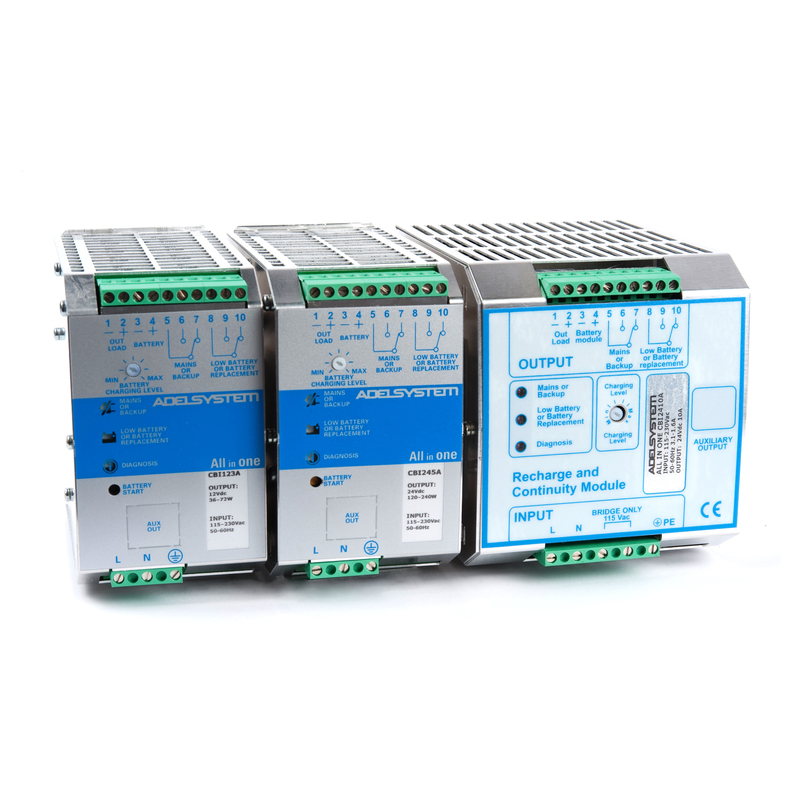 The units within our PP67 series of industrial plugs are ideal for a wide array of industrial applications. 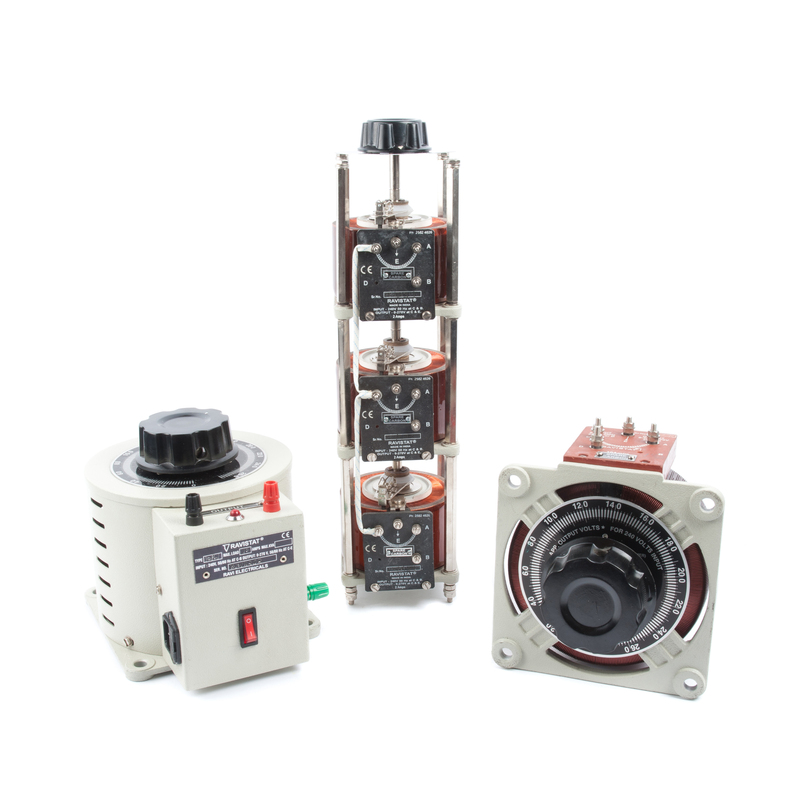 Machine builders and OEMs are examples of customers who would have a requirement for this range. 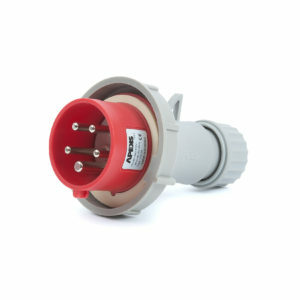 The plugs are designed to BS EN 60309-1 (BS 4343) and are available in 110V AC (yellow), 230~240V AC (blue), and 400~420V AC (red) types from 16A to 32A. 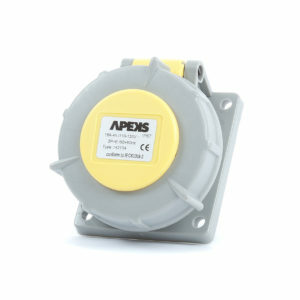 The models within this range are protected to IP67 and are available in 2 pin + earth (2P+E), 3 pin + earth (3P+E), and 3 pin + neutral + earth (3P+N+E) types. 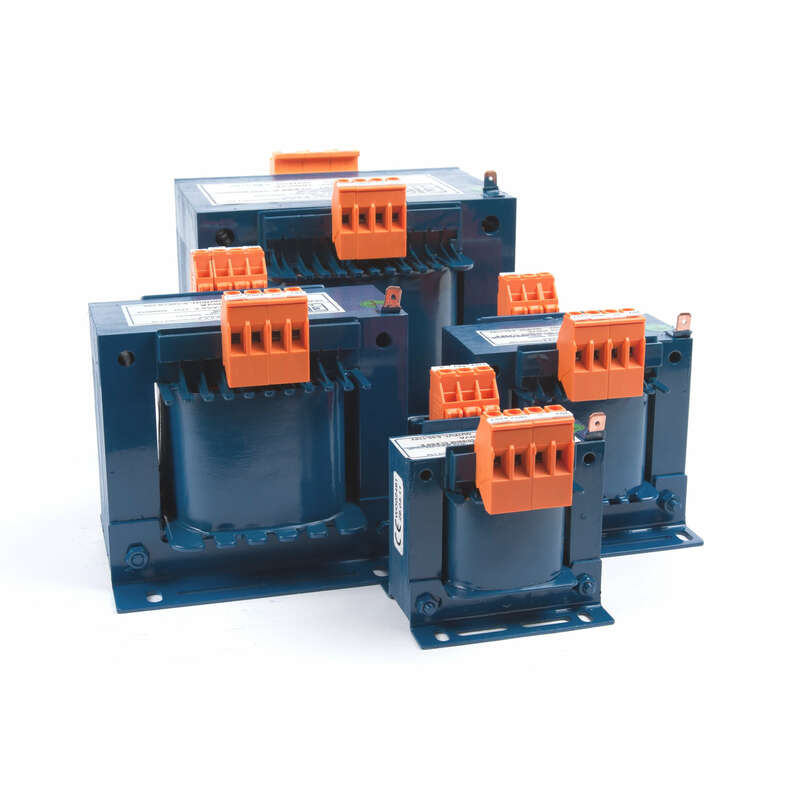 The units within our PS67 series of industrial sockets are ideal for a wide array of industrial applications. 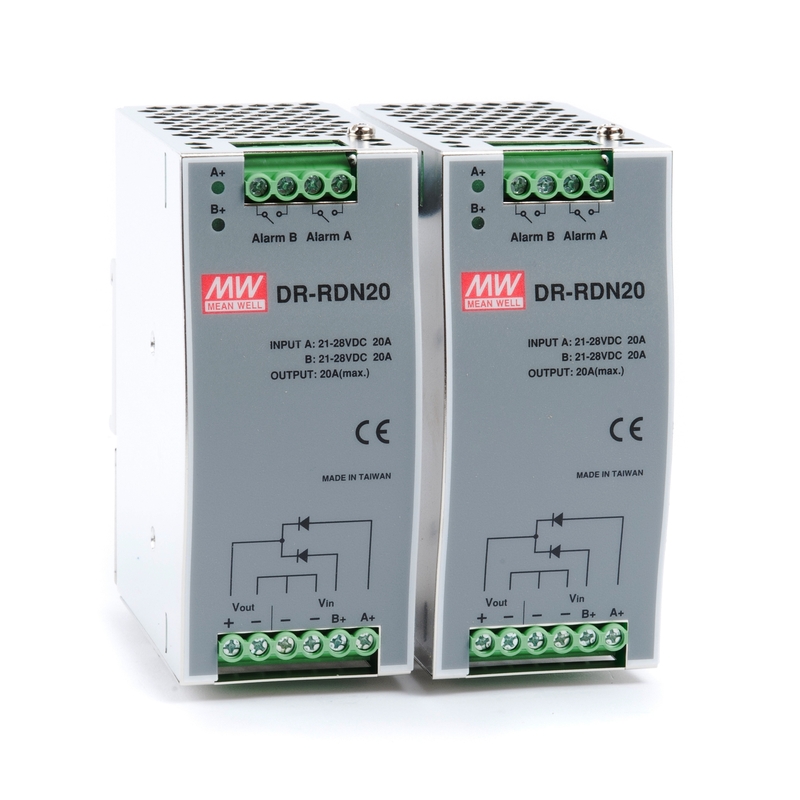 Machine builders and OEMs are examples of customers who would have a requirement for this range. 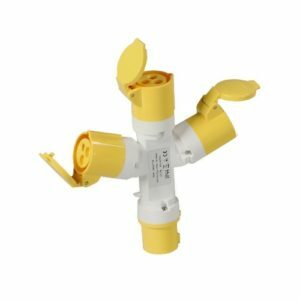 The sockets are designed to BS EN 60309-1 (BS 4343) and are available in 110V AC (yellow), 230~240V AC (blue), and 400~420V AC (red) types from 16A to 32A. 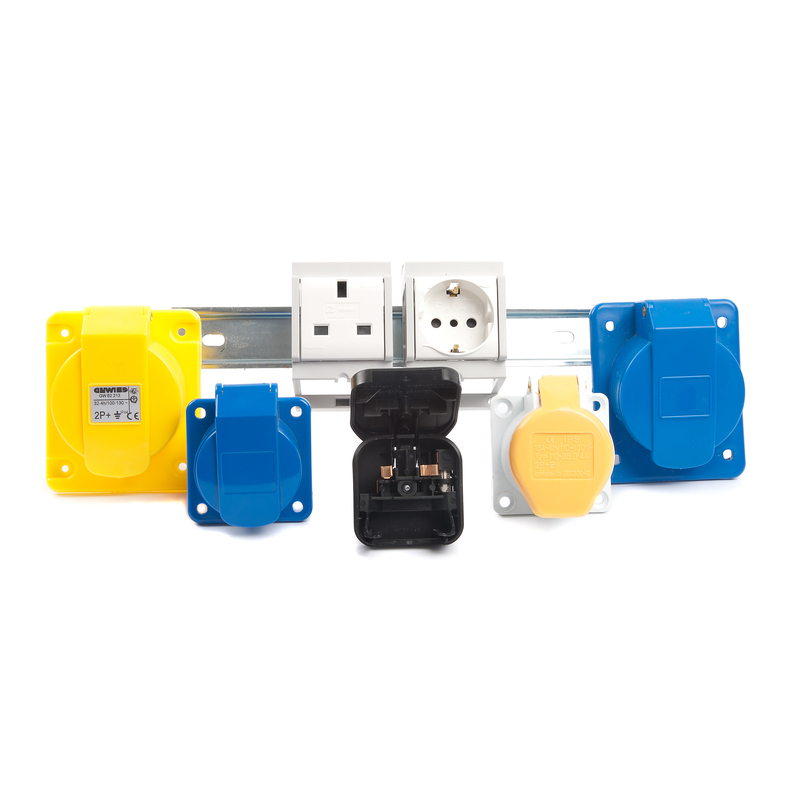 The models within this range are protected to IP67 and are available in 2 pin + earth (2P+E), 3 pin + earth (3P+E), and 3 pin + neutral + earth (3P+N+E) types. 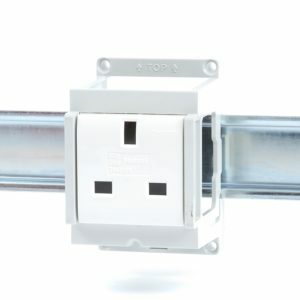 The units within our A10 series of three-way socket adaptors are ideal for a wide array of industrial applications, such as for use on construction and building sites. 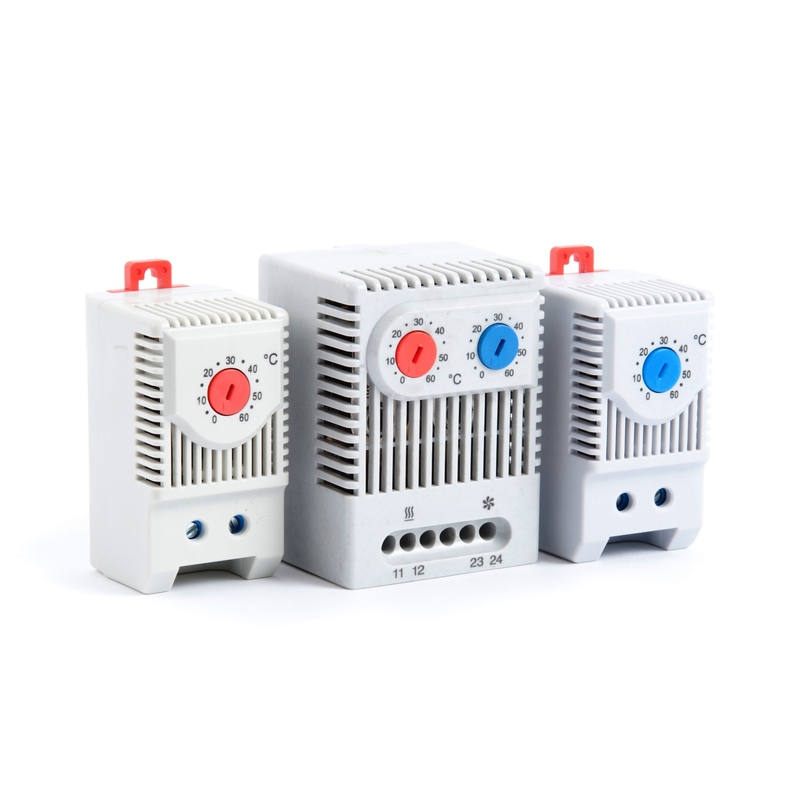 The input voltage of the models is either 110~130V AC or 230~240V AC with 3 x 16A 2 pin + earth (2P+E) sockets. 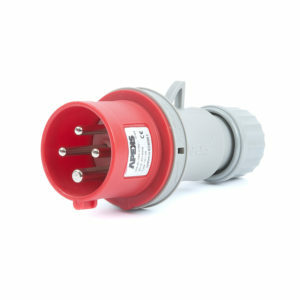 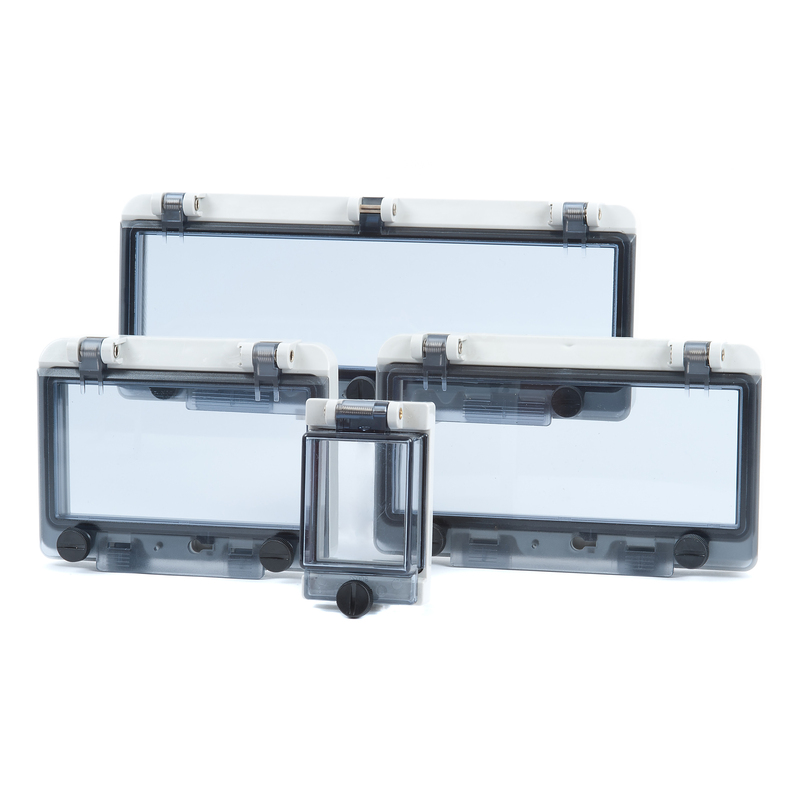 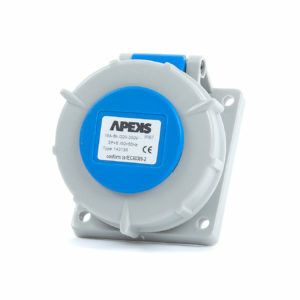 The adaptors are high in quality and have been designed with IP44 protection. 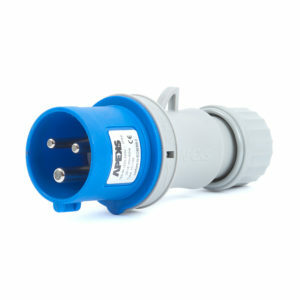 Select the adaptor with the input voltage of your choice, then pick your current rating from the dropdown menu inside. The leads within our industrial extension leads range are rated at either 110V AC or 230~240V AC with a choice of 13A to 32A plugs and either a 16A to 32A coupler or 1-gang / 2-gang 13A socket. 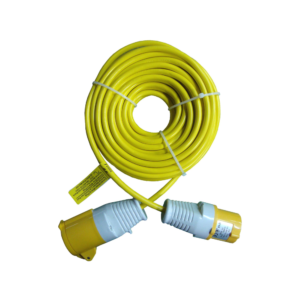 There are a wide array of types available with cables from 10 m to 25 m in length and 1.5 mm to 4 mm in thickness. 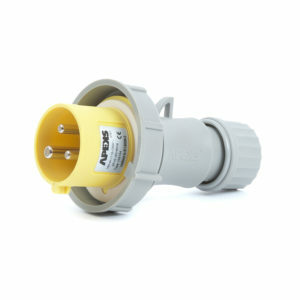 Cables are available in yellow or blue and are arctic grade to BS 6004:2012. 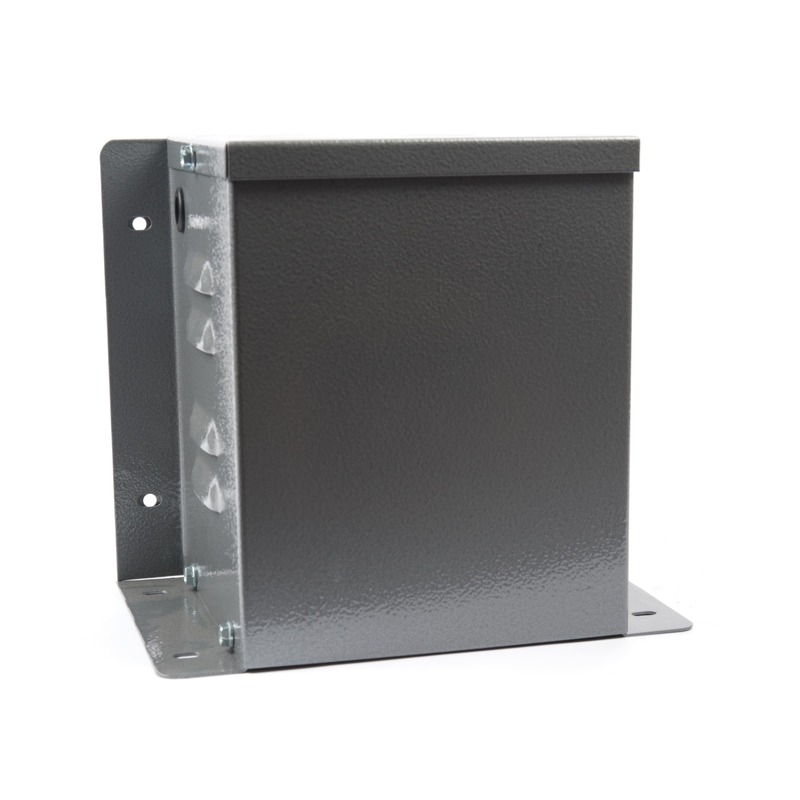 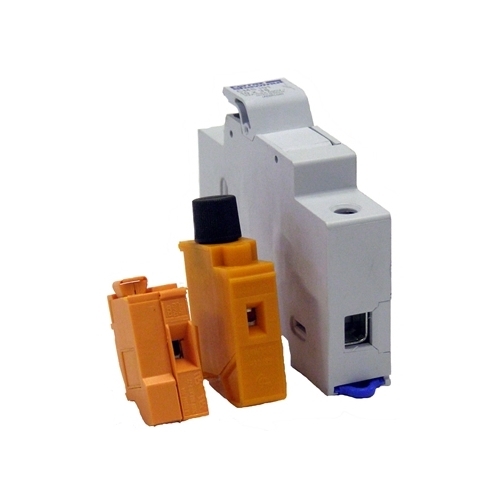 All coupler types are designed with IP44 protection and are CE marked. 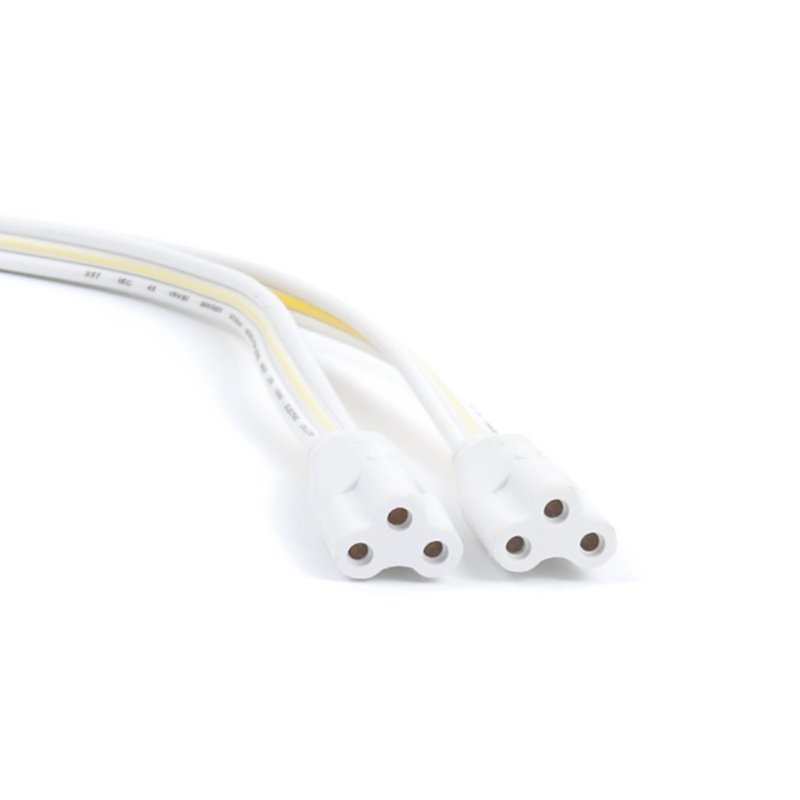 Select the extension lead with the cable length, input voltage, and cable thickness of your choice, then pick your current rating from the dropdown menu inside.